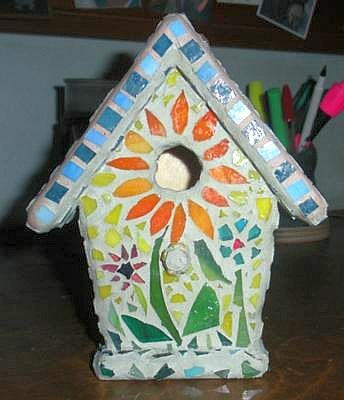 Here is my mosaic birdhouse. Stained Glass on a wooden birdhouse. Simple mosaic project, can also be made with left over ceramic.